The International Brotherhood of Electrical Workers places highly skilled union electricans in the workforce. 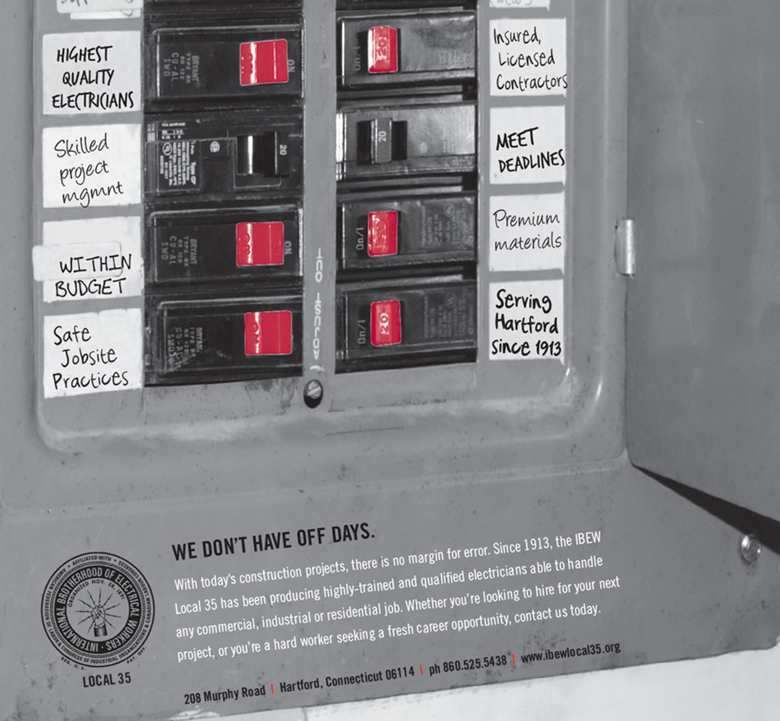 We helped grow their reputation with a targeted advertising campaign promoting the benefits of belonging to and working with IBEW. Our strategy was two-fold. First, we sought to recruit young adults by touting the immense value and benefits of joining IBEW. Second, we educated non-union contractors and other stakeholders in the building industry about the need for IBEW labor. As a result, IBEW's apprenticeship program grew into one of the most esteemed in the industry. And IBEW continues to hold one of the best reputations of all the construction & building trades for supplying highly trained, qualified and skilled labor.